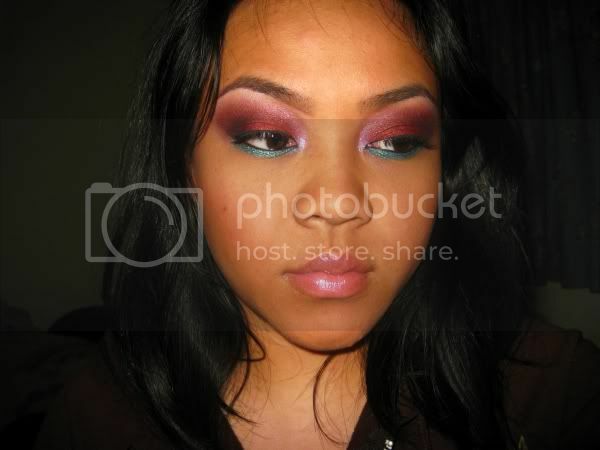 So I was kinda stuck on what look I could make up next... I wanted to use some of the new Beauty From The Earth products I recently got so I just kept staring at them all trying to figure it out lol. I decided to go for a Red look because I never EVER wear reds (never even tried) so I thought, 'HEY, no day, but today' right? lol. Not to mention I got this gorrrrgeous dark metallic red (BFTE Isis)... I think if anyone feels a bit weird wearing red, they should check out this color because HOT DAMN, I like it a lot! lol. You just made me want a whole BUNCH of BFTE shadows! This is breathtaking... you look great in red. Isis is a hell of a color! looks like xmas! hehe very cute indeed! wow you have the best brightest looks! 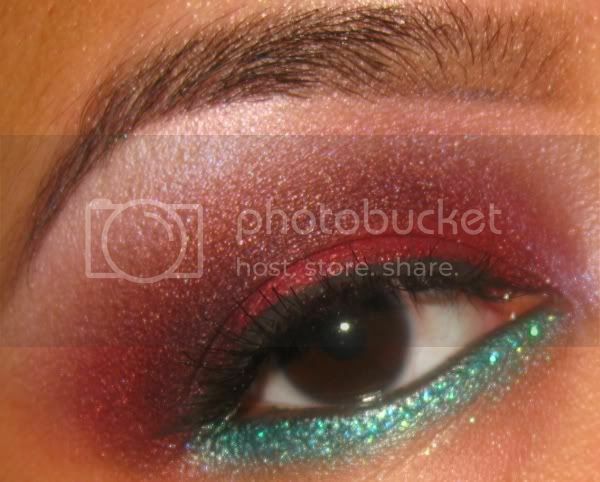 i never would have thought to put a red with a teal-ish color like that together... really awesome outcome! 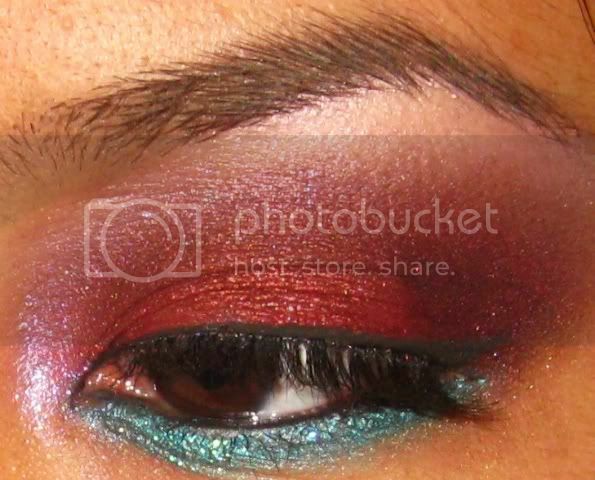 i love dark red eyeshadows, u know your make up. plus you make it look so easy, too.lol. keep up the hawt fashion looks!